OTTAWA, ONTARIO--(Marketwired - April 20, 2017) - Editors note: There are three images accompanying this press release. Introducing Pinnacle Studio™ 20.5 Ultimate, a loyalty update for registered Pinnacle Studio™ 20 Ultimate users offering a variety of enhancements including all-new Split Screen video, extended support for 360 video formats, and simple template creation. With this new update, Pinnacle Studio Ultimate offers video editing enthusiasts more flexibility and a streamlined workflow to achieve their goals of editing like a pro. "We know our users like to push creative boundaries to make movies that truly stand out from the crowd. Whether you're looking to showcase a recent vacation in a unique way, create an immersive 360 video, or promote your products online, Pinnacle Studio 20.5 Ultimate offers the power you need to bring your vision to life," said Michel Yavercovski, Senior Director of Product Management for Pinnacle. Explore new creative options with Split Screen video. Show multiple video streams simultaneously with new Split Screen video. 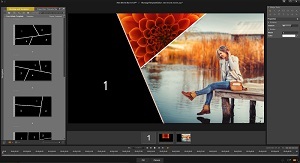 Use pre-designed templates or create and save your own - from simple dual split screens to complex custom patterns with multiple scenes playing at once. 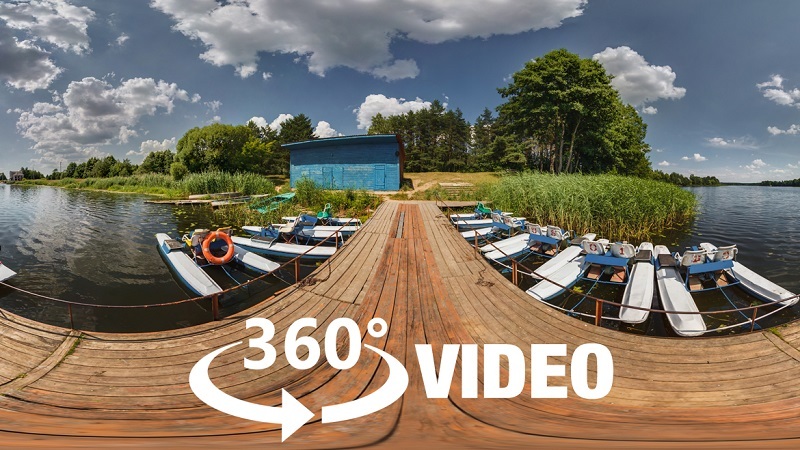 Work with popular 360 spherical video formats. Get new native support for fisheye and dual fisheye 360 spherical video formats. Import your 360 video and start editing - no need to convert it to equirectangular format first. 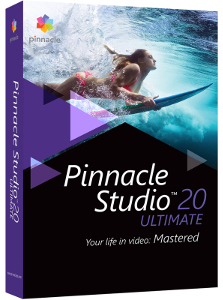 Use Pinnacle Studio 20.5 Ultimate's powerful 360 video editing features to give your 360 movie a more polished look with filters, titles and effects. Want to be the director and take your audience through the action? Set a path and convert your 360 video for viewing on TVs and standard playback devices. Streamline your workflow with custom templates. Now it's easy to save your projects as custom templates for future use. Recreate your favorite looks without having to start from scratch. Custom templates make it simple to achieve a common look and feel across multiple videos - ideal for marketing promotions or any content you're creating in a series. Easily access new integrated learning materials. Visit the new Welcome tab in Pinnacle Studio for easy access to learning resources, video tutorials, effect packs and more. The new Pinnacle Studio 20.5 Ultimate is a free update to registered Pinnacle Studio 20 Ultimate users. Updates are also available for Pinnacle Studio™ 20 Plus and Pinnacle Studio™ 20. For more information about the 20.5 enhancements to the Plus and standard versions, please visit www.pinnaclesys.com. Looking to get started quickly? Find additional training resources at http://learn.corel.com and get more information about 360 video editing at www.pinnaclesys.com/en/landing/360video/. Pinnacle Studio 20.5 Ultimate gets you closer to professional results with advanced editing capabilities and innovative features. New Split Screen video makes it easy to show multiple scenes at one time. Choose a pre-designed template or get creative with your own unique layout. 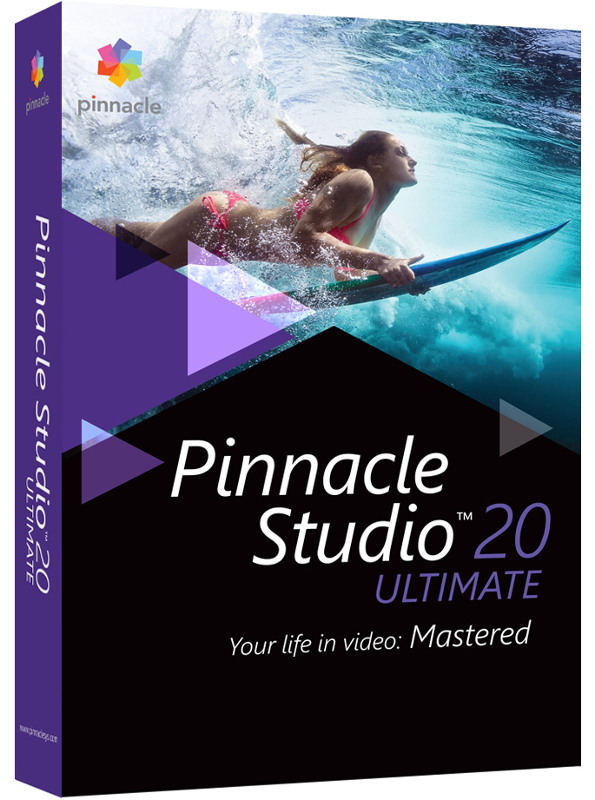 Pinnacle Studio Ultimate 20.5 gives you even more 360 video editing power with new native support for fisheye and dual fisheye 360 spherical video formats.